Representative Image. Check individual details. DO-68334-17 was succesfully added to your cart. 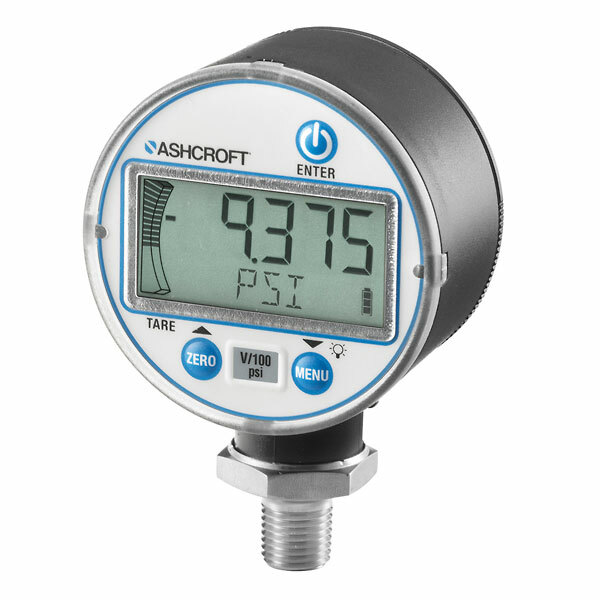 A versatile and economic choice for a wide variety of pressure measurement applications. Gauges feature easy-to-use, three-button keypad programming. Cycle life of 108 makes these gauges a great value. Case material is made of PC/ABS. Gauges feature tare, min/max memory, and nine engineering plus one custom engineering units, as well as a bright backlight. Sensor is welded to the socket for added durability. Max pressure indication reduces chances of damage to the unit. Burst pressure rating is 300 to 800% of range. Gauges meet ASME B40.7 safety requirement. Other pressure connections, such as 1/8" NPT(M), are available. Call for assistance.